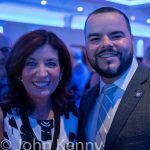 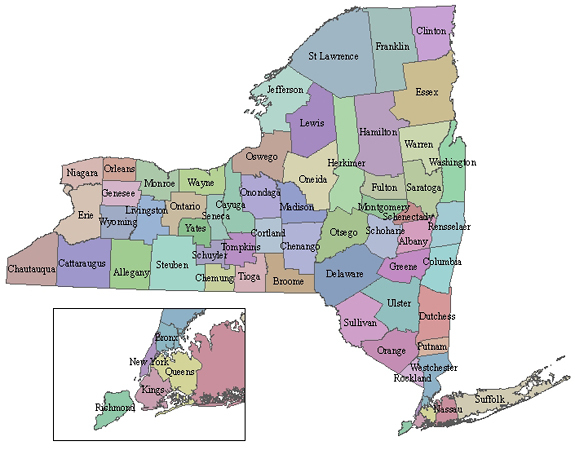 2018 NYS Attorney General's Race, 2018 NYS Governor's Race, Andrew Cuomo, Kathy Hochul, Letitia James, Ruben Diaz Jr. 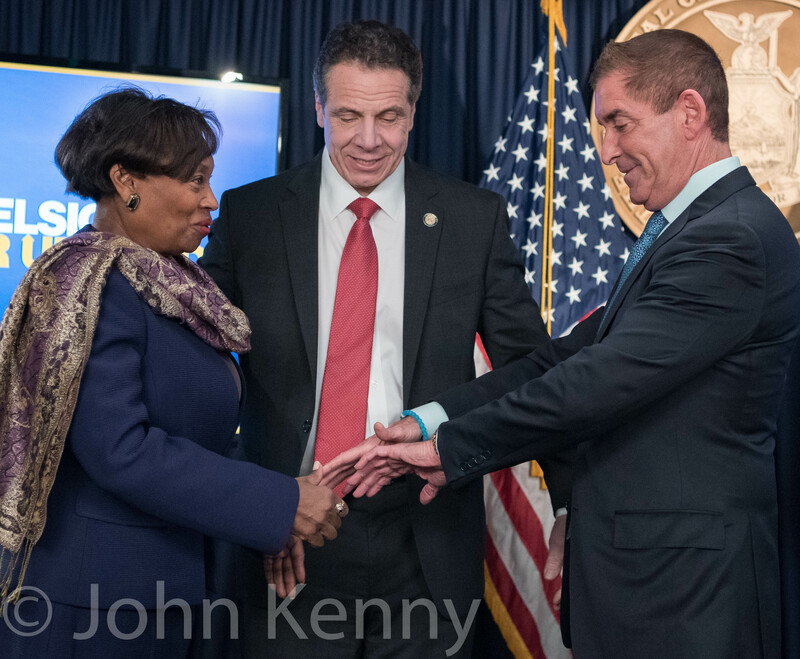 Governor Andrew Cuomo rolled through Evander Childs High School in the Bronx as part of a series of rallies seeking to generate support for a “red flag” law. 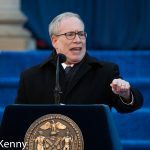 A “red flag” law would aim to allow teachers, health professionals and others to report potentially dangerous persons for confinement and treatment with the goal of avoiding mass shootings. 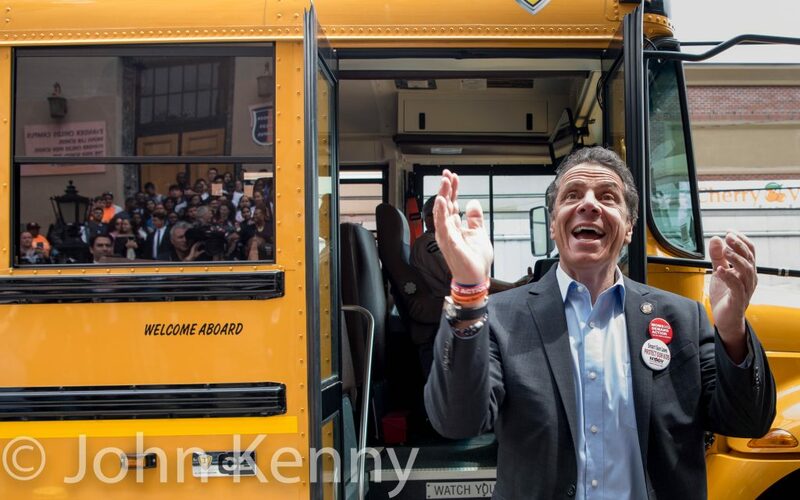 Cuomo arrived at the rally on a school bus, traveling from an earlier rally on Long Island. 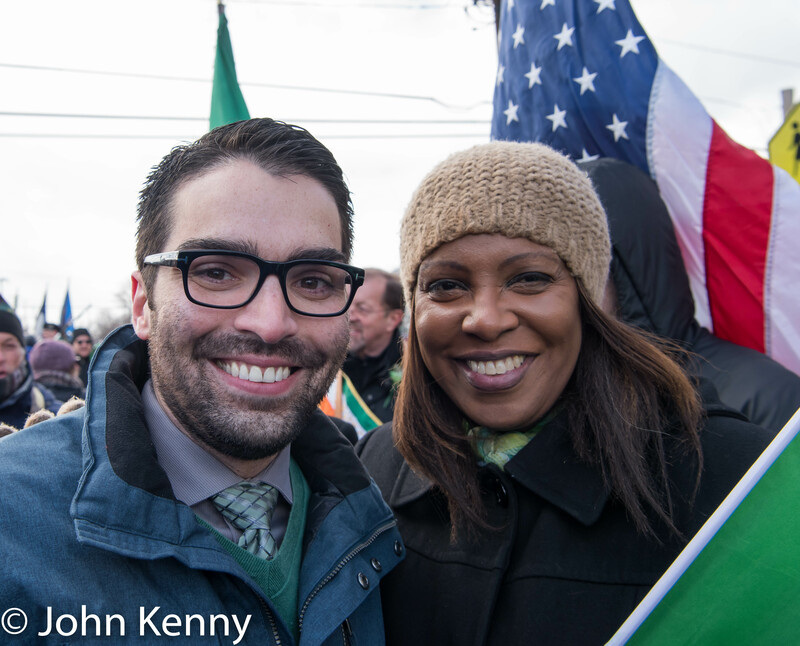 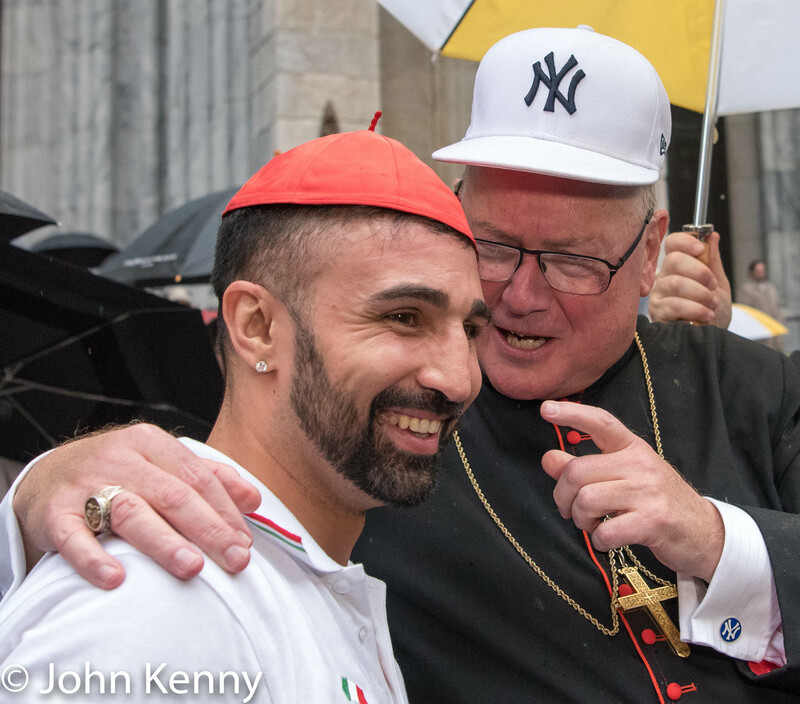 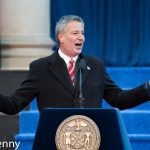 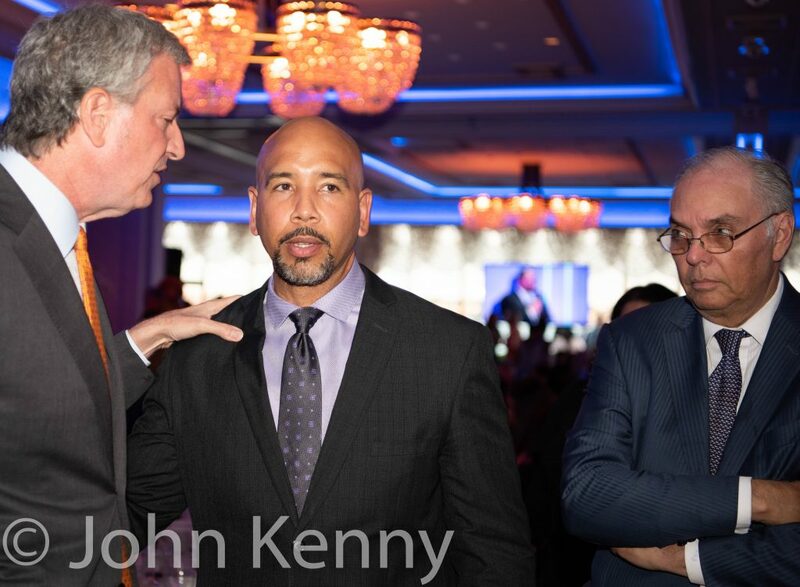 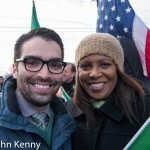 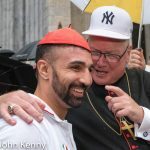 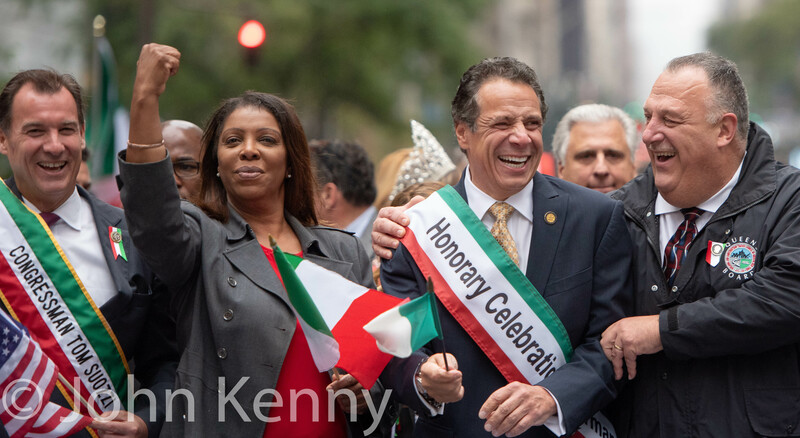 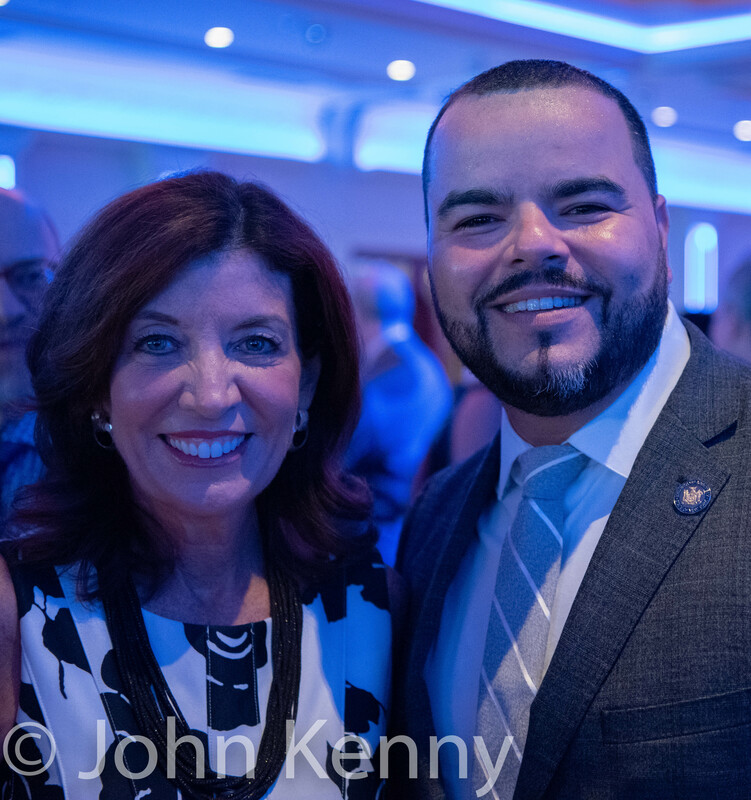 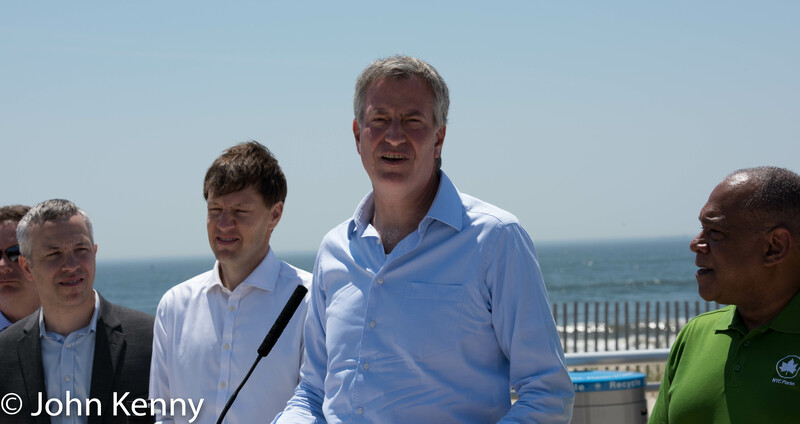 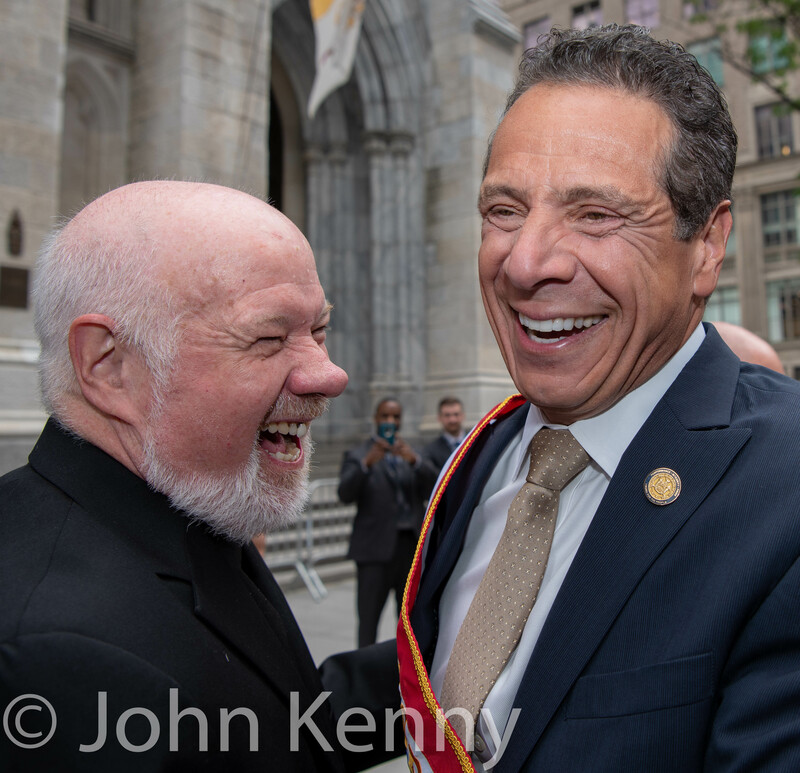 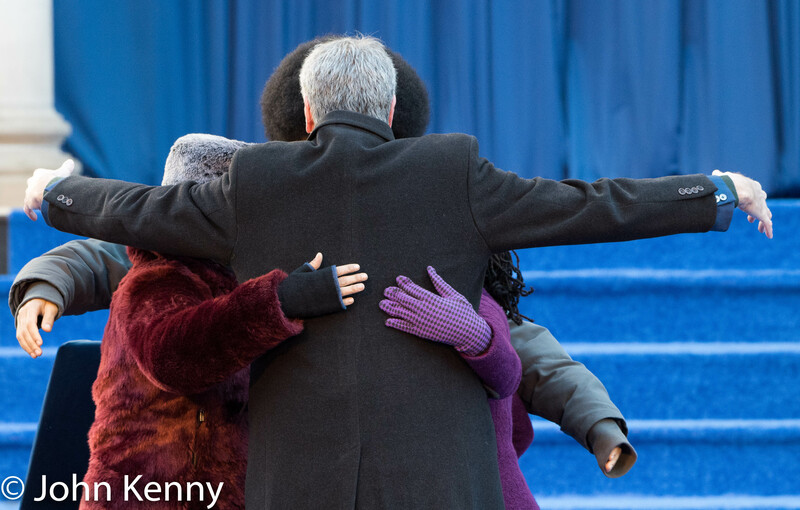 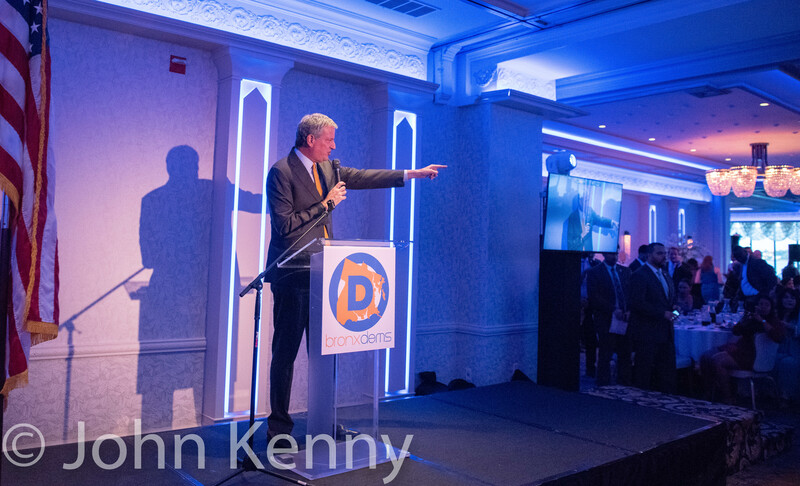 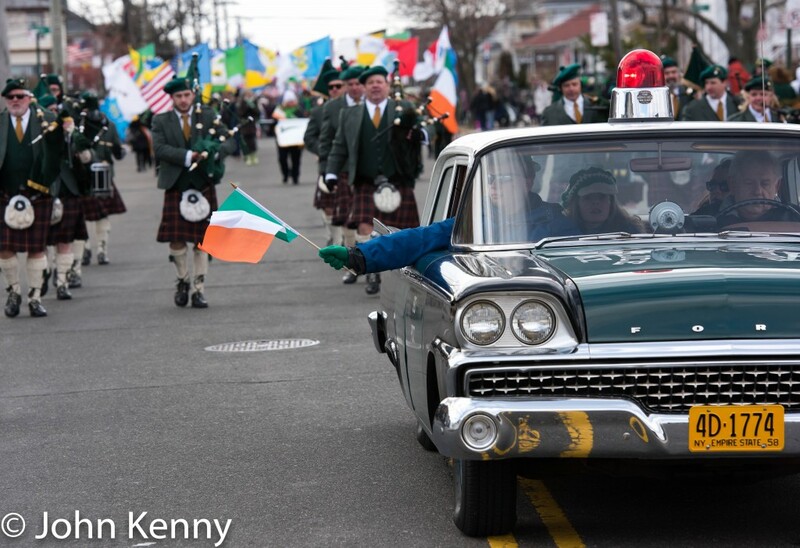 He was joined by several elected officials, including Lieutenant Governor Kathy Hochul, Public Advocate and attorney general candidate Tish James, Bronx Borough President Ruben Diaz Jr., Rep. Eliot Engel and Council Members Andy King and Ritchie Torres. 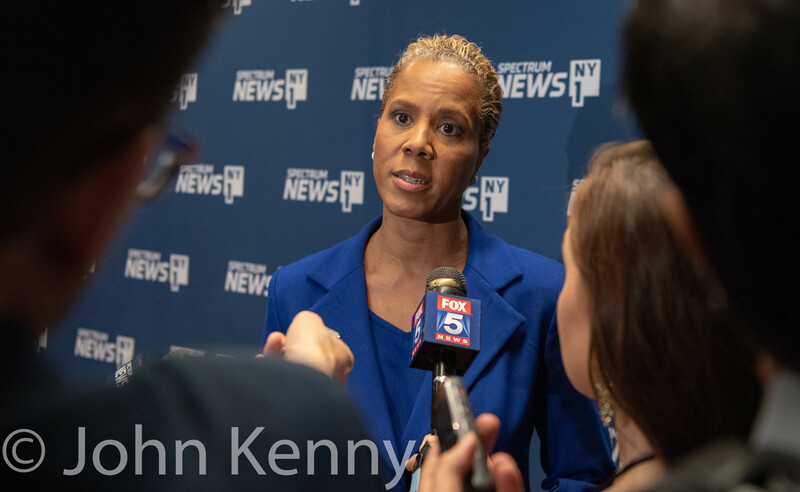 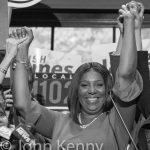 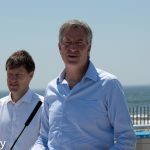 New York City Public Advocate kicked off her campaign for New York State attorney general with a Brooklyn rally and brief press conference. 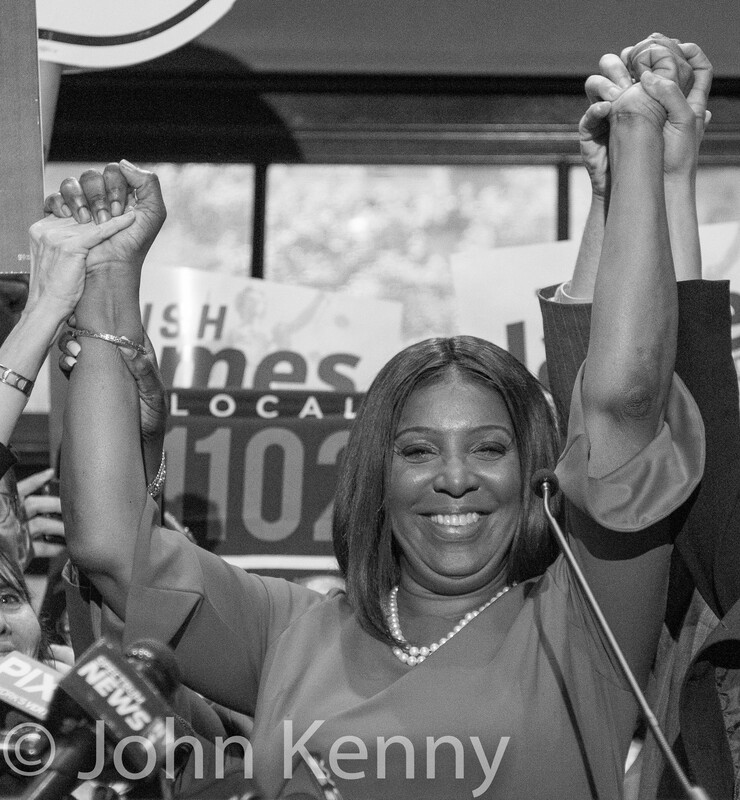 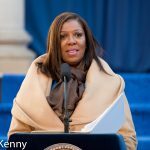 Appearing with about 100 supporters Wednesday James declared that she’s seeking the Democratic nomination for attorney general, but she is not seeking to be appointed by the state legislature to the roughly six month balance of former attorney general Eric Schneiderman’s term. 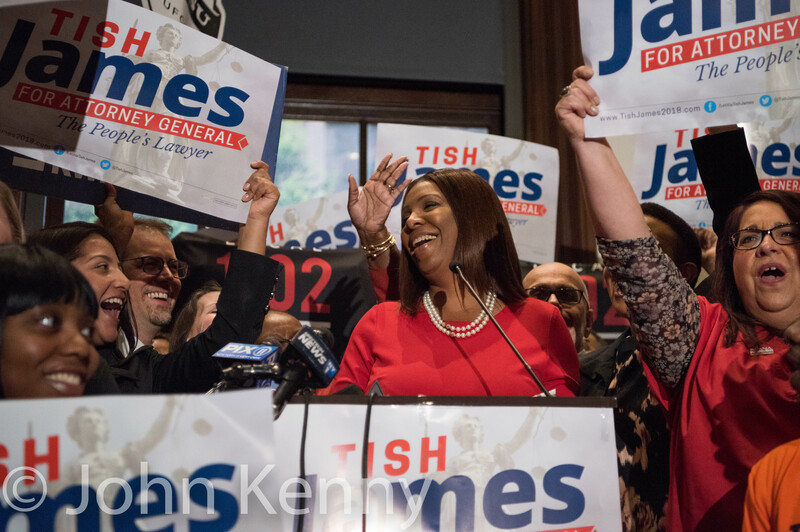 James has also said that she’s not seeking the Working Families Party nomination for attorney general, reportedly under pressure from Governor Andrew Cuomo.